President Jair Bolsonaro signed a decree on Tuesday relaxing gun ownership rules in Brazil. While prospective gun owners still have to meet requirements such as being at least 25 years old, not having a criminal record, and taking a psychological exam and a firearm training course, the new decree changed the rules regarding what constitutes the “need” to own a gun – a requirement stipulated in the country’s gun laws that, before the decree, was subjectively reviewed by a federal police official. Now, to establish whether a person needs to own firearms, the decree stipulates a rule that takes into account their home state, including residents who live in urban areas with more than ten homicides per 100,000 people, based on 2016 data. This actually means all states and the Federal District, making the category applicable nationwide. It is unclear whether the criterion should be updated in case homicide rates after 2016 change. The decree extended the period to renew the registration from five to ten years for public law enforcement and police officers and prison and correctional agents, residents who live in rural areas and in urban areas with high levels of violent crime, and business owners. The number of guns each person can own is now four, except when they prove to need more firearms. Experts say the new rules can have a negative impact on illegal gun ownership. 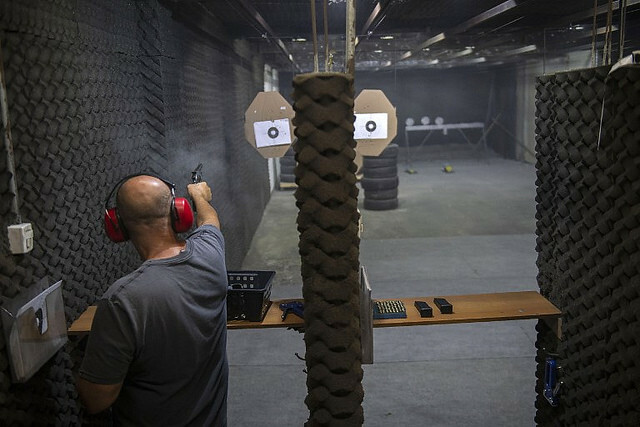 Two scholars told Brasil de Fato that there should be measures to improve law enforcement and that, regardless of the rules established in the decree, it may be hard to enforce the difference between owning and carrying a gun in public. Natália Pollachi, a project coordinator at the rights group Sou da Paz Institute, acknowledges the government can legitimately regulate the country’s gun laws, but laments that society was not involved in the process of crafting the decree. She warns that gun owning itself – which excludes carrying firearms in public – is a risk. “Just by keeping a gun at home, it could be used in intrafamily conflicts, in cases of assault against women, which we see happen every day. If each of these households have a gun at hand, conflicts could escalate to more fatal outcomes,” she said. Clarissa Rego, a lawyer and member of the Brazilian Association of Jurists for Democracy, argues that, while carrying a gun in public remains illegal for most civilians, the police’s ability to enforce it is less than ideal. “The part [in the law] about people carrying a gun in public has not changed yet. But it’s very hard to enforce this. [With the new decree,] probably more people will actually carry guns in public, even without a license,” she said. While relaxing gun laws was one of Jair Bolsonaro’s main campaign promises in Brazil’s 2018 presidential election, recent polls show most of Brazilians oppose loosening gun control.